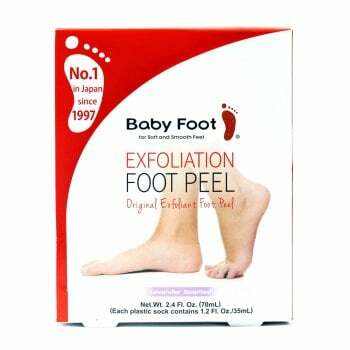 The Baby Foot Peel is made up of 16 types of extracts formulated to moisturize and hydrate. After 2-3 weeks of natural peeling, your feet will be left soft and smooth, just like a baby&apos;s foot. Completed with a lavender scent.